I just got back from Nashville, where I attended the 2014 American College of Medical Genetics Annual Meeting. ACMG is always my favorite conference. The presentations are almost always relevant and meaningful to my work; the people who go are generally fun, smart, and social; and the organizers do a good job making the conference fun with stuff like great refreshments (think wedding hors devours) and spur-of-the-moment polling. In addition, this wintertime conference is usually at a warm-weather location about 4 months before/after other major conferences I hit, making it easy and desirable to fit into my schedule. The ACMG meeting is usually awesome, and this year didn’t disappoint. One thing that made my ACMG experience a bit unsavory, though, was my accommodations. I tried to book a room late for dopey reasons, and the only place that was less that $375/night and less than 3.5 miles from the conference center was the Knights Inn. For a place that is only a mile away from the heart of downtown Nashville, the Knights Inn was remarkably underwhelming. There was a gas station next door where you could get a bag of chips or some soda. To get to it at night, though, you had to walk three blocks around an enormous wall that opens only to a side street (I assume the owners consider zombies coming down the interstate to be a bigger threat than the rapists and muggers in the back alley). I got a non-smoking room, which doesn’t really matter if a place let its guests chain smoke in the 70s and kept the original furniture. There was no clock, no ironing board, and the wireless didn’t work. A mini-fridge was useful for storing the 2-liter of Sprite I bought after evading the Mongol hoard on my way to the gas station, but the microwave was not (the gas station did not stock microwavable foods. 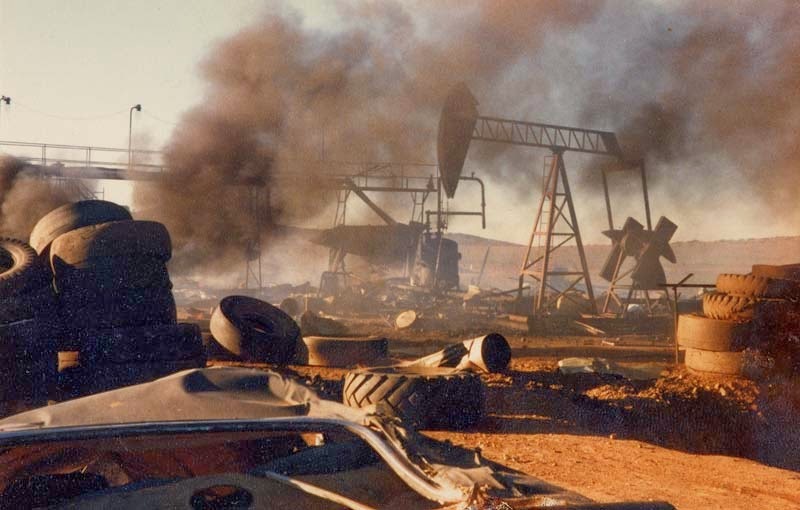 Or maybe the Thunderdome gangs had looted it all...). I survived, though, and it made me think a lot about my personality. See, when I told my buddy James about the place, he joked, “You’re always staying in places like that. You’re a real cheapskate.” When I retorted that it wasn’t a money thing since my travel costs were being reimbursed, he just laughed. The thing is, he’s more right than wrong. The truth is that nice hotels often make me feel like a chump. I may have spent a lot of time worrying about bedbugs at the Knights Inn Nashville, but I slept just as well there as I would have at a $350/night place. I know this because I spent my early 20s ‘living it up’ a lot more. Maybe I didn’t have a nice apartment or new car, but I’ve eaten at most of the best restaurants in NYC (at least as they were in the early 2000s), and I’ve stayed in my share of luxury hotels/suites, whether in NYC, Cape Cod or Vegas. My job may have been to market ridiculous products, but it paid ***well***, and I loosened up the purse strings quite a bit. I was a little like those NBA kids who grow up with nothing and suddenly make millions. The majority blow through their wealth remarkably quickly in ways that scream both, “So this is the good life!” and “I need to get back to my roots.” See, when you come from having very little, you’re uncomfortable with having a lot. My mom worked two or three jobs at a time, and my dad, well, he lost his way for a while. We made ends meet by being frugal, and we had a good life. And it all became familiar. This is what people of means often don’t understand when they wonder why all these athletes and pop stars go bankrupt so quickly when fame fades. You can’t spend 20 years pinching pennies and running with like-minded people and suddenly morph into the guy who eats out 4 nights a week and sips Chardonnay with the book club. It’s disorienting and uncomfortable. It doesn’t feel right, because people you’re close to have to get by with so much less and you know you can get by without it all. To this day, the feeling that I remember most when I think about eating sushi at Nobu is guilt. $200+ on little bits of raw fish while mom’s making due with Salisbury steak. Really? Lest you misunderstand, I don’t have anything against nice things, and I’m certainly not against having a lot of money. I’d just rather have comfortable things that can do a lot. 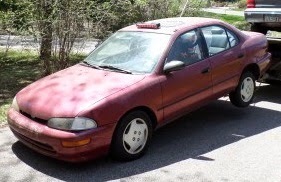 My Geo Prizm was the perfect car for me: broken speedometer, broken odometer, blinker controls you had to push up-and-down if you were turning right and that flashed at hyperspeed if you were turning left... but it looked ‘clean’ and it ran *great. * Never had to get serviced, always got good mileage, but more importantly, I never worried about it getting dinged or someone spilling their soda. My car was a vehicle, not a status symbol, and it got me from point A to point B for 8 years (and could have been much longer). I’d rather have a $300 Toshiba laptop I can turn into a Linux box than an $1500 iBook that only runs a Mac stuff (yes yes yes, I understand you can dual boot on iMacs and such, but my experience setting Ubuntu up on my work iMac was very, very frustrating). For better or worse, shownership isn’t just lost on me. It makes me think less of those who buy into the concept. You can make fun of my 10-year-old laptop, but only if you know how to set your laptop to be a server or to process huge data sets. Give me *some* reason to tout your computer other than “it never crashes” (weirdly, ‘it never crashes’ is by far the #1 reason people tell me I should get a laptop like theirs. I guess it’s a more prevalent problem than I imagined). I also have learned to be patient with who I am, and who I am is careful with my moolah. Too careful, a lot of times: it took me a long time to realize, “jeez, spending $10 to have my shirts pressed is way better financially than spending $30 in time washing and ironing them myself. Maybe I’ll live in high style some day, but don’t expect it to happen quickly! A buddy of mine is receiving a presidential award as an outstanding early-career scientists. You know what else he's outstanding at? Coming up with jokes about dead babies. On a separate note, I had a horrible, prolonged period early in my career in program management where I was miserably understaffed. The company was working to hire an assistant or two for me, but the process was dragging on. At some point in a fit of desperation, I stopped looking for the perfect candidate and told personnel that I was changing my hiring criteria to "warm and breathing." I was starting to lose a lot of revenue due to the lack of help, and I figured just about anyone could be trained to do the work I needed done (creating package inserts and marketing materials, overseeing product orders and quality control). Soon after I lowered my standards, TF came into my office for an interview. She had a reasonable resume, but more notably, she was *boring. * She dressed well and liked movies... and nothing else. I was excited. I figured I had a drone who didn't have much going for her but a job, which I figured would give her a second thing to talk about in the future. - "You're going to have to learn that 'cert' means 'certificate,' and 'bro' means 'brochure.'" - "If you don't know if the printer's done with the job, please call him." - "Um, 'cert' means 'certificate.'" The point of this posting is that I've noticed a strong correlation between capability and crassness. Among the ten smartest people I've known, probably nine fall into the category of, "I better make sure my kid's asleep before we start talking." And of the ten dumbest people I've known, probably nine fall into the category of, "We'll, he's polite." I suppose you can be smart and polite, but the combination's rare, and for better or worse, I've developed a rule of thumb that might boil down to crass=smart. Sorry, polite people! Not sure why, but offense taken! Long ago, I recognized the importance of forgiveness, to others and to myself. It’s enervating to be angry, and I’ve screwed up as much as the next person. God knows I’d have few friends today if people didn’t look past my foibles (I probably scored a 6 out of 10 on the ‘jerk’ scale in high school). So why do I find it so hard to forgive people sometimes? Except I knew he didn’t mean any of it. He was old, losing his sight, and living alone. It was clear that he cared about me and my family (particularly his grandson); and that he really meant no harm by his yelling. In fact, it surprised him to find out his yelling bothered me. I remember one occasion where I thought he had liver cancer, and I was literally dragging him kicking and screaming to his appointments. After one particularly hairy appointment, I grabbed his walker in a fit of frustration and threw it across the yard. The action took him aback. He gave me a quizzical look and asked, “What are you so worked up about?” He knew he was a jerk, but he meant no offense, and I knew that. So why did I get offended at all? Why was I so hesitant to visit him afterwards? There are times when I feel like I developed a PTSD response. There were a lot of difficult moments over the years, and maybe I just snapped in a way that creeps into my relationships with others. There are also times when I think I inherited a predisposition to be snarky, and it manifests as a propensity to carry a grudge. I fall to this explanation frequently, especially when I think about my brother who can make my dad look like a pussycat. And then there’s a more interesting possibility, one that was suggested by Jeffrey Eugenides in Middlesex: that we sour as we age so we’re more able to let go of life and accept our own deaths. There’s a certain appeal to this theory, that holding onto the negative (like a grudge) is a natural consequence of getting older. Whatever the reason, my inability to be forgiving at times reminds me that I, like most people, am often not a rational person. I’m trying, though! So what happens if Emmett doesn't forgive me for dressing him up like this?